June is going to be a big month for Pixar fans! Not only will Incredibles 2 grace theaters on June 15th, but Toy Story Land arrives at Walt Disney World on June 30th! Lucky visitors to Disneyland’s Shanghai Resort actually got to experience Toy Story Land just last week. Here you’ll get to see some prized behind the scenes footage of the Imagineers as they brought this brand new world to life. So what do we have to look forward to at the end of the month? Quite a ton, gaddily bob howdy! Check out these awesome construction photos (via Oh My Disney) of the new Slinky Dog Dash roller coaster. Our favorite penguin will also be performing Toy Story‘s signature tune. That’s right, Wheezy is back and sounding better than ever before! He’ll be accompanied by tape recorder Mike and Mr. Spell. 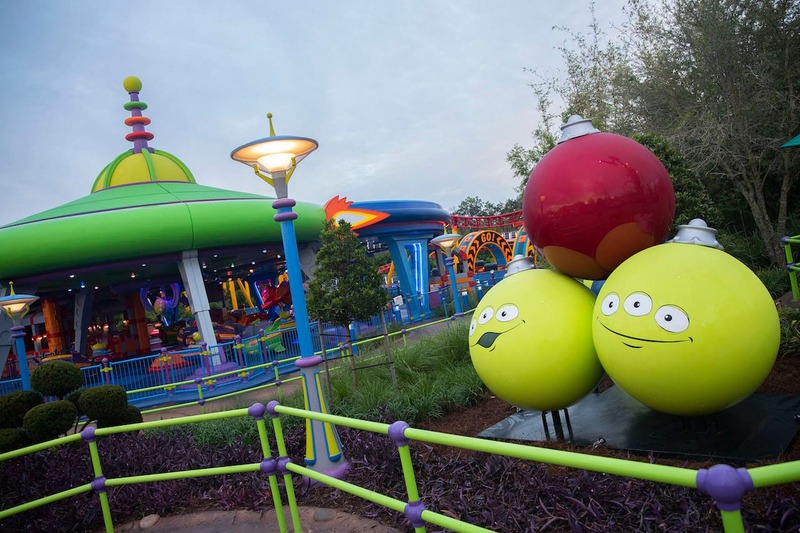 Toy Story Mania is guaranteed to be another hit, with Oh My Disney reporting that guests will be tossing baseballs and cream pies at 3D objects, and that’s just what we know about it so far. One of the reasons Toy Story Land is such an appealing addition to Walt Disney World is because it’s one of the most iconic movies ever. An attraction like this has been a long time coming. And certainly it’s worth the wait! 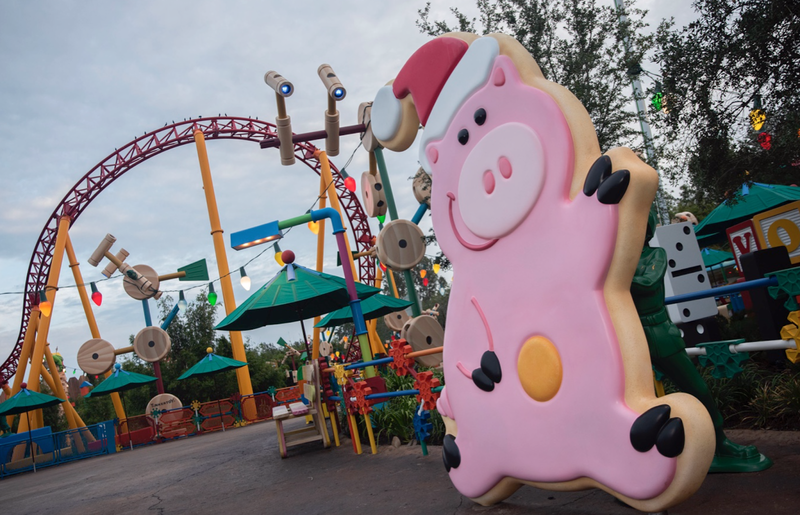 Will you be visiting Toy Story Land at the end of the month? Be sure to let us know here and on twitter, and stay tuned for more updates. 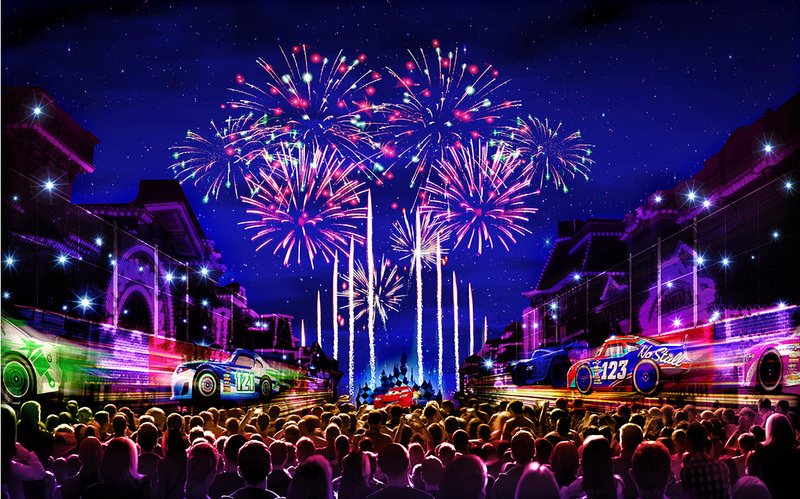 D23 is this weekend, and there’s no shortage of awesome Pixar news! New logos, images, release dates, and synopses have been revealed for their upcoming slate, and the excitement for them has only increased. Without further ado, here’s all the brilliance fans were treated to. “Riley’s First Date?” Pixar Animation Studios heads back inside the mind with an all-new short. “Riley’s First Date?” made its world premiere at D23 EXPO 2015. Director Josh Cooley, along with Inside Out filmmakers Pete Docter (Up, Monsters, Inc.) and Jonas Rivera (Up), introduced the short, which revisits Riley, now 12, who is hanging out with her parents at home when potential trouble comes knocking. Mom’s and Dad’s Emotions find themselves forced to deal with “Riley’s First Date?” The short will be included as a bonus feature in the digital HD & Blu-ray releases of Disney·Pixar’s Inside Out, which will be available digitally Oct. 13 and on Blu-ray Nov. 3, 2015. Anticipation for Disney·Pixar’s The Good Dinosaur was amplified when director Peter Sohn and producer Denise Ream shared breathtaking sequences with fans, including never-before-seen footage of a trio of T-Rexes in action. In theaters on Nov. 25, 2015, The Good Dinosaur features Arlo, a sheltered Apatosaurus who finds himself far from home among a host of intimidating creatures. Ellen DeGeneres (“The Ellen DeGeneres Show”), the voice of everyone’s favorite forgetful blue tang, took a dip with D23 EXPO, celebrating Disney·Pixar’s upcoming film Finding Dory. Joining DeGeneres on stage this afternoon were Ed O’Neill (“Modern Family”), who lends his voice to Hank, a cantankerous octopus; Ty Burrell (“Modern Family”), the voice of Bailey, a misguided beluga whale; and Kaitlin Olson (“Always Sunny in Philadelphia”), who voices Destiny, a kind-hearted whale shark. Oscar®-winning director Andrew Stanton (Finding Nemo, WALL•E), co-director Angus MacLane and producer Lindsey Collins (co-producer WALL•E) offered new details of the all-new story, which reunites Dory with friends Nemo and Marlin on a search for answers about her past. What can she remember? Who are her parents? And where did she learn to speak Whale? Also featuring the voices of Albert Brooks, Diane Keaton and Eugene Levy, Disney·Pixar’s Finding Dory swims into theaters June 17, 2016. And finally, Lee Unkrich’s Dia de Los Muertos film has a title, logo, and plot details! Director Lee Unkrich (Toy Story 3) and producer Darla K. Anderson (Toy Story 3) revealed the title of their upcoming film today at D23 Expo 2015. Disney·Pixar’s Coco is the celebration of a lifetime, where the discovery of a generations-old mystery leads to a most extraordinary and surprising family reunion. Also worth noting that the protagonist of Coco is Miguel, a 12 year old Mexican boy, making him Pixar’s first Latino protagonist. image via pixaranimation on Instagram. There’s also the clever, amazing logo for The Incredibles 2! There is so much to look forward to, we don’t know where to begin. Check back in here for more updates on D23! 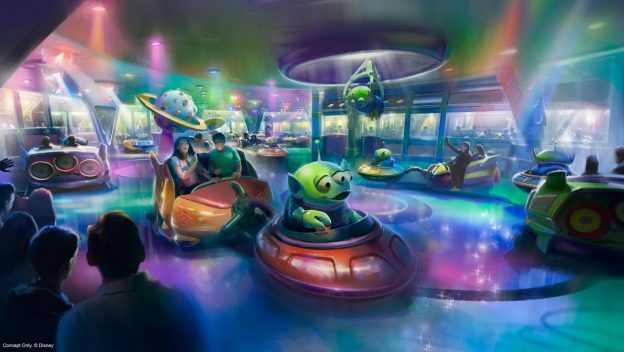 UPDATE: It was revealed yesterday that a new Pixar themed ride would be opening at the Hollywood Studios in Walt Disney World. Guests get a toy sized view of the world, made to look like Andy’s backyard, with a Slinky Dog rollercoaster and other amazing attractions. Concept art for the new land appears below. 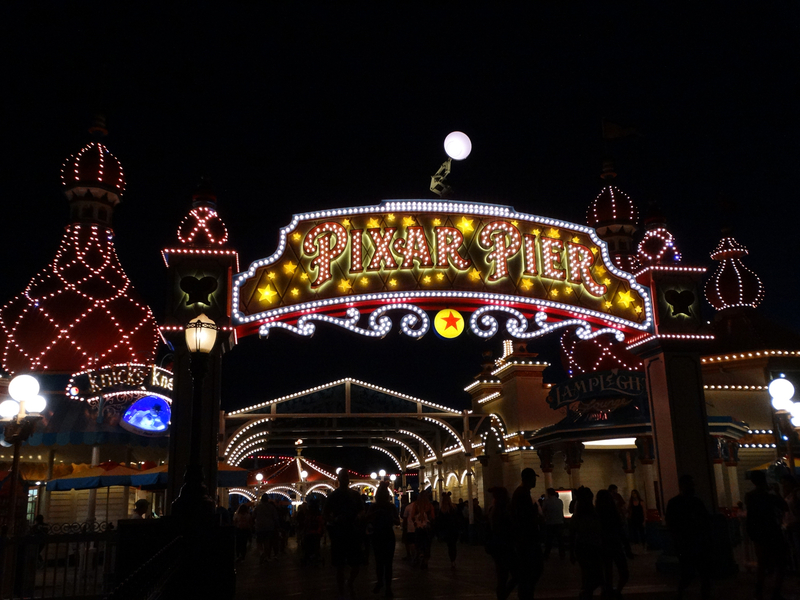 It’s always a good time to be a Pixar fan, but now even more so!